After a few short days of being back on my home island of Oʻahu, my boyfriend Nils and I hopped over to Hawaiʻi island. 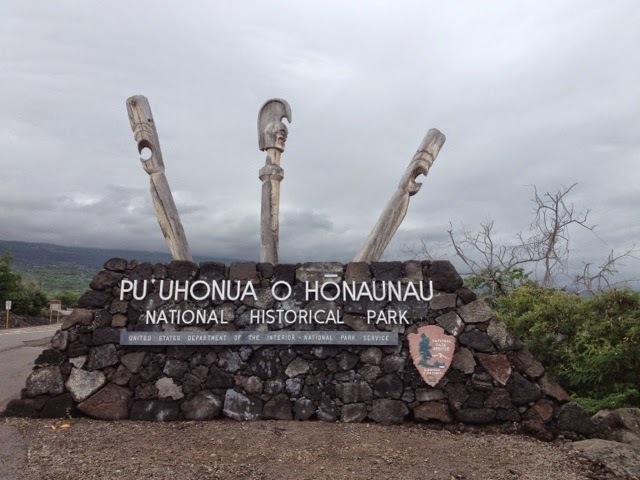 Hawaiʻi is the easternmost island that is largest in size but it is not the island that has the capital, Honolulu, or the tourist area of Waikīkī - that's Oʻahu. 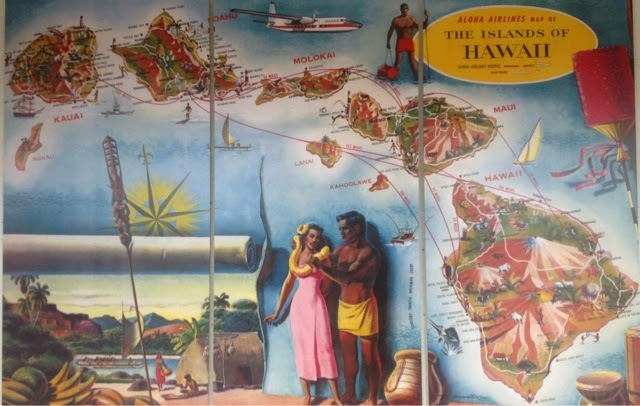 So we headed to Honolulu Airport and took off for Kona, on the western side of Hawaiʻi island. 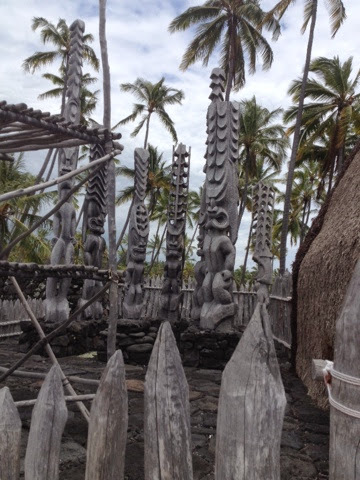 We drove south to Hōnaunau and visited the Puʻuhonua O Hōnaunau, a traditional place of refuge where people could escape to during times of war. 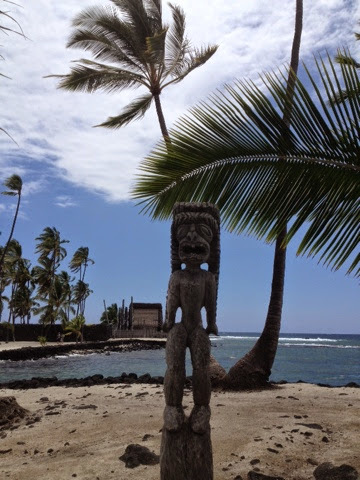 The Puʻuhonua has been well cared for and even includes reproduction of the kiʻi (please, not tiki) that would have surrounded the chief's house that was adjacent to the place of refuge. A kiʻi of Kū, the god of war. 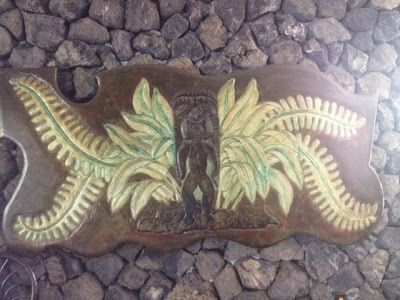 That's one of the wonderful things about the Kona side of Hawaiʻi - there is a great deal of our history still easily visible and accessible. 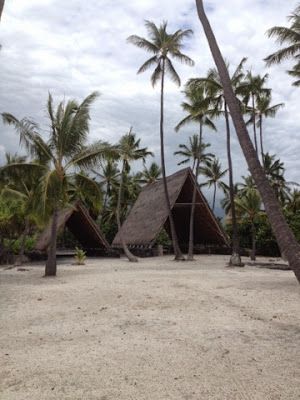 We checked into our hotel in Kona. Kū was there too. Afterwards we headed to the Kona Brewing Company and sampled some of their beer. 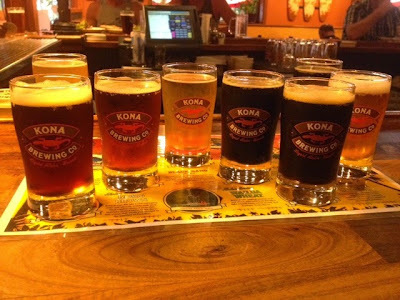 Originally from Kona, the brand is doing well and is available throughout the United States. I've even spotted their popular Longboard beers at a restaurant at Malmö and found it on Systembolaget's website! We even tried some varieties that are only available at the brewery. The Castaway IPA (available in stores) was a favorite of both of ours. 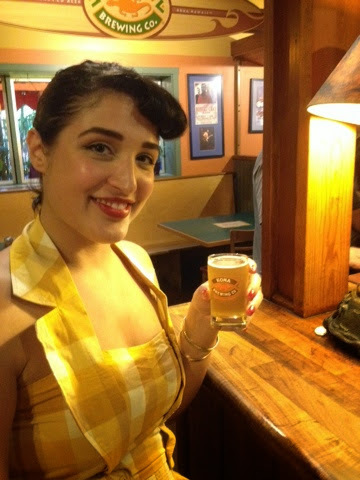 I also liked their Lemongrass beer...I think it was a lager. 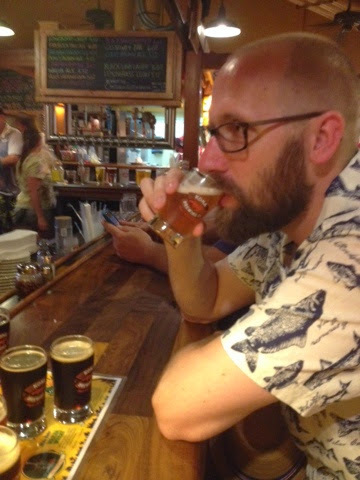 Nils' favorite was the Lavaman Red Ale. Yum! Happy as a clam. A beer-loving clam. After that, we had a nice dinner with some family in Kona and then called it a day. 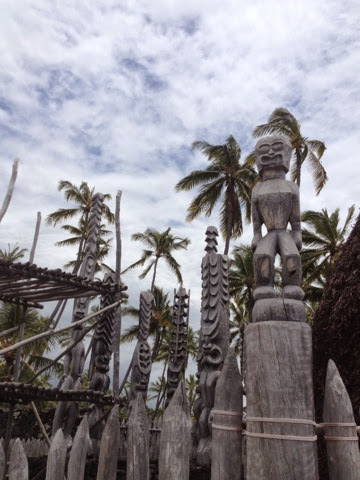 After all, we had to get some rest as the next day we were headed to Hilo!